Behnam Sadeghi specializes in the early centuries of Islamic religion and teaches courses on pre-modern intellectual history at Stanford University. 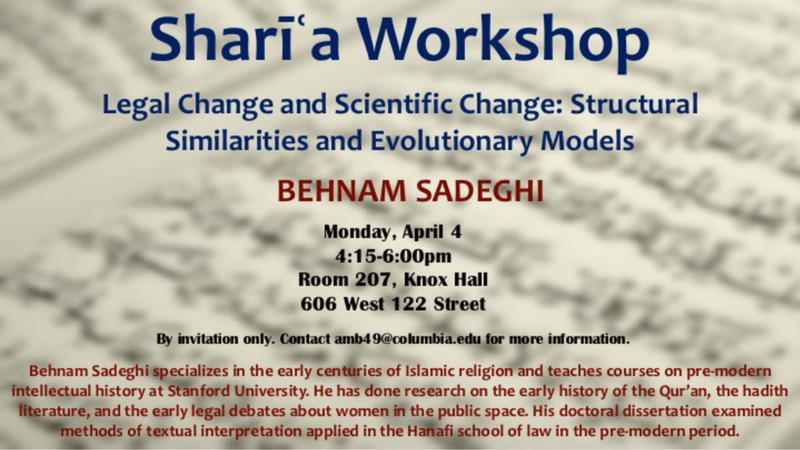 He has done research on the early history of the Qur'an, the hadith literature, and the early legal debates about women in the public space. His doctoral dissertation examined methods of textual interpretation applied in the Hanafi school of law in the pre-modern period.